General Dentist in Green Brook – Arlene O’Brien, D.M.D. Dr. Arlene O’Brien has over 10 years of experience in private dental practice, performing a variety of general and cosmetic dentistry solutions. Her approach to patient care is focused on learning and listening to the needs of each individual patient, while using her refined skills and the most modern dental technology to provide comprehensive, high-end results. Her warm personality and attention to detail create lasting loyalties among patients. 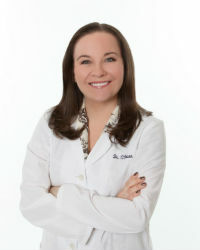 Dr. O’Brien is a graduate of Rutgers University, where she earned high honors in both psychology and biology. Her academic achievements gained her entry in to the accelerated B.A./D.M.D. program, a joint program between Rutgers and New Jersey Dental School (then part of the University of Medicine and Dentistry of New Jersey). After completing her dental training at New Jersey Dental School, she accepted a hospital residency at the Jersey Shore University Medical Center. Dr. O’Brien continues her affiliation with Jersey Shore University Medical Center as a resident supervisor, for post-doctoral training. Dr. O’Brien is an active member of the American Dental Association, the New Jersey Dental Association and the Academy of General Dentistry. She currently sits on the Board of New Jersey Academy of General Dentistry as their Continuing Education Chairperson. In that capacity, she coordinates continuing education training for dentists across the state, while keeping her own dental skills on the cutting edge. When not providing care at Cornerstone Dental’s Green Brook office, Dr. O’Brien resides in Middlesex County with her husband and two daughters. Implant Dentist in Hillsborough – John D. Beckwith, D.M.D.